1) Tape up plastic along walls & floor where the leak is active. 2) Place a bucket under the active leak to catch the disposable water. 3) If there is a continuous heavy drip, take a pen or pencil and poke a small hole in the direct drip area to relieve the water into a bucket. 4) If the drip is NOT excessive, mark directly around the drip with a pen or pencil. Following these steps will save time and money until we can come out to repair the roof leak on a clear and non-rainy day. 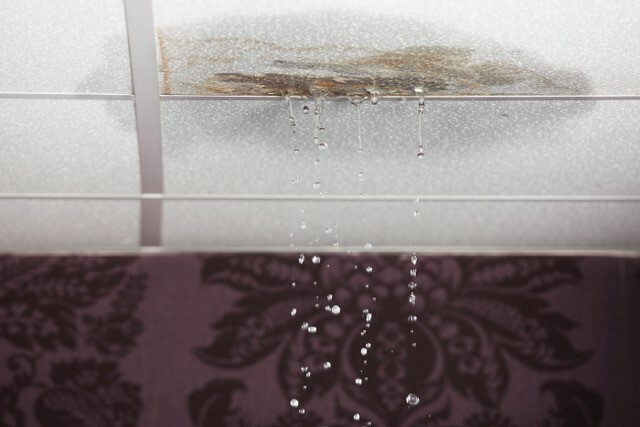 Notify us as soon as you know you have a roof leak, either through our website or by phone. This helps us get you scheduled in a timely manner. We will contact you once we get you scheduled.